New Canaan, CT ­ March 23, 2001 ­ The average sales price for nursing homes nationwide decreased by just over 10% last year, plunging to the lowest level since 1994, according to a report by Irving Levin Associates, Inc., a research and publishing firm that tracks mergers and acquisitions in the seniors housing and health care markets. 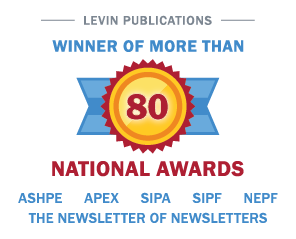 The average sales price paid for skilled nursing facilities in 2000 was approximately $36,600 per bed, according to Levin’s report, The Senior Care Acquisition Report, Sixth Edition. The average per bed sales price in 1999 was $40,700. “The sharp drop in the average price paid was expected because of the financial turmoil that hit the nursing home sector subsequent to the change in Medicare reimbursement with The Balanced Budget Act of 1997,” stated Stephen M. Monroe, editor of the report. “With the high profile bankruptcies in the industry and dwindling supply of capital for acquisitions, investors just will not pay the same price that they did in the last half of the 1990s, when the average sales price was consistently above $40,000 per bed,” continued Mr. Monroe. The change in Medicare reimbursement hurt the cash flow of many nursing home providers, but the decrease in values was also caused by competition from assisted living, declining occupancy rates, a difficult labor market and the rise in litigation and liability insurance costs. “Several years ago, Florida was one of the most sought after states for nursing home acquisitions with the highest prices paid. Last year, there were many Florida nursing homes for sale, and the average price paid in the state was well below the national average. This was a direct result of the current liability crisis in Florida,” stated Mr. Monroe. In the independent living market, the average price paid per unit rose by 11% to $96,400 in 2000, representing the fifth annual increase in a row. “The independent living retirement housing sector has not suffered from some of the problems impacting the nursing home and assisted living markets. Demand has remained strong for quality communities and the regulatory and labor risks are minimal,” according to Mr. Monroe. The Senior Care Acquisition Report, Sixth Edition, contains statistics on the nursing home, assisted living and retirement housing merger and acquisition market, including prices per bed or unit, capitalization rates, income multipliers and regional statistics. It also includes transaction information on each of the publicly announced senior care and home health care acquisitions in 2000. The Senior Care Acquisition Report costs $495. For more information, or to order the report, call 800-248-1668. Irving Levin Associates, Inc. was established in 1948 and has headquarters in New Canaan, Connecticut. This privately held corporation publishes research reports and newsletters, and maintains databases on the health care and seniors housing markets. The firm has a strategic alliance agreement with Cushman & Wakefield, a national commercial real estate company, for the valuation of seniors housing and health care properties. HOSPITAL M&A ACTIVITY SLOW IN 2000 AS HEALTH CARE INDUSTRY BEGINS TO STABILIZE According to Irving Levin Associates, Inc.